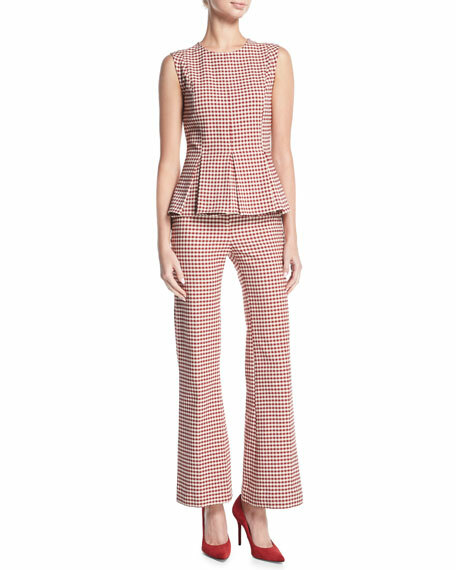 Brock Collection "Pamela" pants in stretch gingham suiting fabric. Side seam pockets; back welt pockets. Slim fit through hip and thigh. For in-store inquiries, use sku #2305519.